Stand Up Paddle Surfing: Stamps 8.4 photos! Will you be riding this at the contest this weekend. Yes sir.... love this board. Tippy but Rippy! 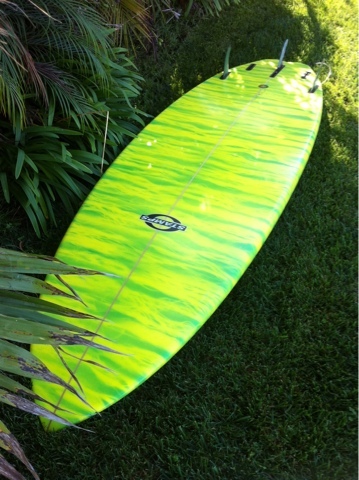 thats a nice looking board, i am thinking about getting a stamps custom too, but i would like a little more stability. what size would you recommend for a 200lb surfer? You're right in my weight range- I'm 210... if you're looking for a loose, surfy-feeling board that is still manageable I'd go with something in the 9'0 - 9'4 range with 30" width... if you want even more stability in that length think about going for a little wider tail (width out the back makes a huge difference in stability). If you've got intermediate or better balance skills and you really want to loosen things up you could go with an 8'6 or smaller GRipper model- and then if you're feeling like you want to get stupid... jump on something like I just picked up: 8'4 ultra-light and so fast... love that thing! thanks for the feedback John. 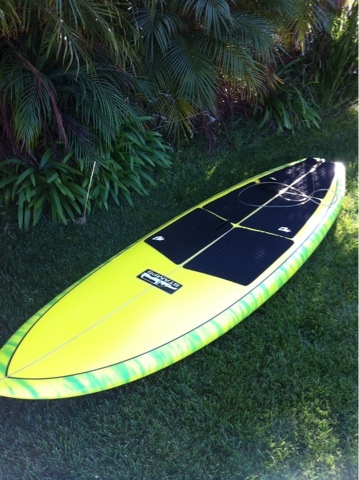 i might go for a 9,0 or 9,2 by 30. i am using a Starboard Wide point 8,10 at the moment which is really good but i have these cravings for a custom board :). The places where i surf (France) usually gets very choppy in the afternoon. i am pretty tall so i prefer a stable platform.